The University of Texas at Austin filed for five trademarks related to the hiring of basketball coach Shaka Smart this month. But an alumnus, his neighbor and a Louisiana company beat it to the punch on three others. With a football coach named Strong and a basketball coach named Smart, the merchandizing opportunities are endless for Texas Longhorn sports. One problem: Those opportunities are also obvious. And it appears that an alumnus and his Houston neighbor may have beaten the school to the punch. The University of Texas at Austin filed five trademarks associated with its new coach on April 3, the day Shaka Smart was formally hired away from Virginia Commonwealth University to lead the Longhorn men’s basketball team. It wanted exclusive rights to two catchphrases – “Horns Havoc" and “House of Havoc” – that are based on the name for Smart’s aggressive defensive schemes. The school also claimed three phrases – “Texas Smart,” “Strong and Smart” and “Texas Strong” – that play off the coach’s name, along with the name of football coach Charlie Strong, who was hired in 2014. Now, the university will have to fight for the rights to put those phrases on T-shirts, posters and burnt orange hats. That’s frustrating for the school, which made almost $8 million off licensing sports merchandise last year. But it’s not wholly unusual. Experts say schools and sports teams are often targeted by “trademark trolls” – people who appear to have no legitimate claim, and are seeking money when they file an application. When that happens, the schools sometimes have to choose between a long legal fight and paying a quick settlement. 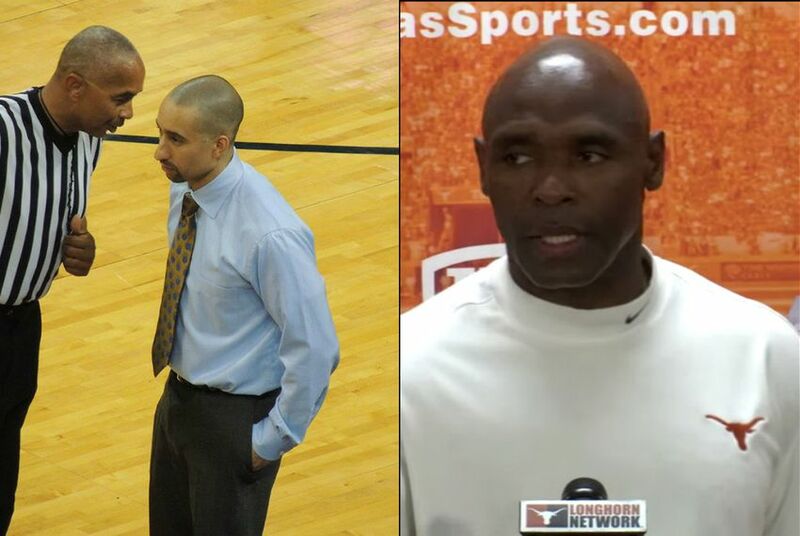 UT Associate Athletics Director Craig Westemeier has dealt with this before. He has overseen the university’s office of trademark licensing since 2001, and has trademarked hundreds of names, logos and slogans for the Longhorns. But he didn’t start worrying about coaches’ names until recently. From 1998 to 2013, Mack Brown was the Longhorn football coach, and his last name wasn’t particularly marketable for an orange and white team. Strong changed things. Within a week of his hiring, about 20 people filed applications for trademarks like "Longhorn Strong" and other phrases involving the coach's name. Westemeier spent months challenging those claims. With the help of lawyers, he sent cease-and-desist letters and worked to educate the other applicants about the university’s rights, he said. Many people dropped their applications. Others wanted money. “We had to go through a fairly arduous process,” he said. Eventually, some people were paid, but usually no more than a “nominal fee,” Westemeier said. Westemeier said he was more prepared for the basketball hire. As soon as Smart emerged as a leading candidate, Westemeier began compiling a mental list of possible trademarks. On the day Smart’s hiring was finalized, the university filed five applications. It turned out, however, that Westemeier was at a disadvantage. Smart’s hiring became official on April 3. But news that the he was the school’s final candidate began leaking on April 1. Filing applications before it was a done deal would have been “inappropriate,” Westemeier said. But others outside the school didn’t share that worry. According to Louisiana business records, LXCJ is run by Sunset resident Alexcie Guillory Jr. Calls to a number listed for Guillory weren’t answered Monday or Tuesday, and there was no voicemail to leave a message. Meanwhile, property records indicate that Vemulapalli and Jayasuriya live less than half a mile apart in the same neighborhood off the Sam Houston Parkway in western Houston. Vemulapalli graduated from UT in 2001 with high honors and a degree in business administration, according to the school registrar’s office. Jayasuriya has been a member of the Texas Exes alumni group, though it’s unclear whether she graduated. Through a Facebook message, Jayasuriya declined to comment. Vemulapalli didn’t return messages seeking comment. Westemeier said he isn’t sure why the Louisiana company and Houston neighbors filed for those trademarks. The university hasn’t contacted them, yet. It’s unclear whether there will be any settlement offers. Either way, challenging the applications will likely be another arduous process. Trademark applications often take more than a year to sort out. Instead, Texas might have to bite the bullet and give the applicants something they want, said Andresen, the law professor. “Hell, give them season tickets for the next couple of years so they’ll just go away,” he said.